Summer is almost over and that means you or someone you know will be headed back to Club Med .. errr… college. Let’s face it, college life is as easy as it gets in this world. It doesn’t matter if you are in an accelerated program at MIT or general studies at your local community college. Life is good in college, any college. You just can’t complain about that 3-hour class that occurs once a week when the real world locks you into a 9-hour grind, every day. So enjoy your $3 pitchers and 10-cent wings. Enjoy rockin your weird shoes & debating existentialism in the modern world. Enjoy drinking your cucumber infused, gluten free cocktails as you figure out the type of man you want to be, and hopefully the man you don’t want to be. 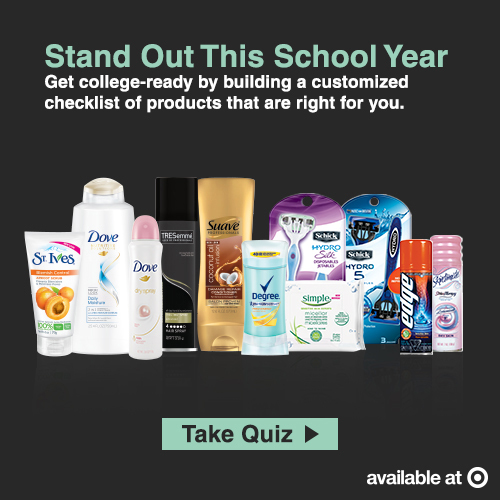 Simply click on the graphic below, answer the colorful questions about your college life and you will receive quality product suggestions that align with your personal style and habits. Get in there! Post sponsored by Mirum Shopper. Opinions are 100% The Rugged Male.